Halfway along the western shores of Lake Como, Mennagio is a popular choice for a holiday in the Italian Lakes. The Bellavista has a superb, water's edge location with beautiful views of the lake from its pool, terraces and dining room. With its enviable position on the very shore of Lake Como, the Grand Hotel Menaggio offers traditional Italian decor with modern amenities and world class service from their warm and welcoming team. 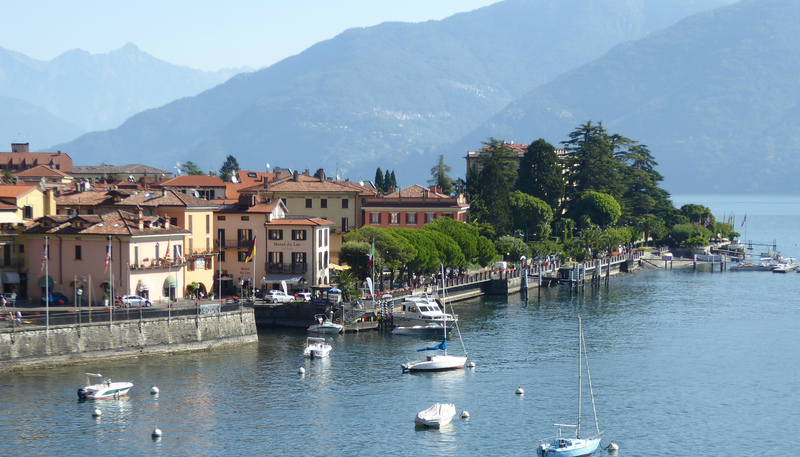 A two-centre holiday (10 nights) exploring the exciting city of Como in the south of the lake and relaxing Menaggio in the west. It includes 3 nights in Como followed by 7 nights in Menaggio and two excursions. As well as soaking up the atmosphere with a cappuccino on the pretty Piazza Garibaldi, you can wander along the prom, through the gardens and up and down streets encountering lovely little churches like 17th century San Stefano, San Carlo and San Giusto along the way. The “plucky” amongst you will appreciate the Managgio Guitar Festival, and for “teetime” there is a nearby 18-hole golf course. There is good hiking above on Monte Grone, whilst Lake Como offers all sorts of boat hire choices including sailing boats, skiffs and power boats with skis, and there are ferries to Bellagio and Varenna. Starting Piazza Garibaldi, this is an interesting and historical walk around and above Menaggio. A perfect way to see local churches, frescos, sculptures and old castle remains.